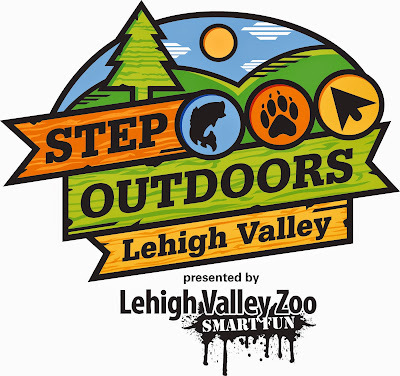 Monocacy Chapter of Trout Unlimited #491: "Step Outdoors Lehigh Valley"
Step Outdoors Lehigh Valley Presented by Lehigh Valley Zoo May 30-31 10 a.m.-5 p.m. Saturday and 10 a.m.-4 p.m. Sunday SteelStacks, Bethlehem, PA Experience this free family festival focused on all things outdoors. Step Outdoors will feature more than 30 different conservation, outdoors and wildlife groups coming together for two days filled with hands-on activities, presentations and outdoors experiences designed to introduce you to the region’s great outdoor pursuits and the natural world. Enjoy urban hikes, cycling, birding walks, trips to see peregrine falcons at Sands Bethlehem and live animal presentations, plus learn to cast a fly rod, try your hand at archery, sample creative cuisine made with insects, and so much more. For complete details, visit www.steelstacks.org/stepoutdoors.